Psychology Experts Revealed The Meaning Behind The Most Common Dreams You Can Have! Have you ever woken up from a dream you cannot stop thinking about? According to Elite Readers, dreams are messages coming from our unconscious which can help explain why we do the things we do. It may also be due to stressing events in your life that reaches out to you in your sleep. Psychologist Ian Walace has researched on more than 150,000 dreams over his 30 years in practice. The dream analyst had compiled a list of the most common dreams people have and their respective meanings. 1. 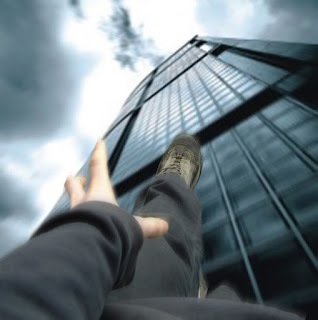 Falling – If a person is often dreaming of falling off a high place into somewhere unknown, it only means that they are holding on to something with tight grasp. It may be a person or a situation in the waking life. Letting go of what’s holding you back is key to relieve tension and anxiety. 2. Discovering an unused room – While dreaming, if you repeatedly come upon a room that you feel has never been used before, then it is possible that you are about to discover something new about yourself. It may be a talent or skill. Try recalling or exploring new things and you may just find out why. 3. Unpreparedness for an exam, presentation, or speech - In your dream, you have done everything to be ready for an upcoming presentation or performance, but still you are filled with anxiety and nervousness. It is a result of being afraid of committing mistakes. You are so worried and pressured that it crossed into your unconscious state. 4. Flying – Dreaming that you are carelessly floating signifies being free after making a huge decision in real life. It may be because the choice you had to make was causing you stress and the dream symbolizes your relief. It also denotes being spiritually prepared. 5. Trapped in an out-of-control vehicle – Being trapped in any kind of vehicle that is out of control and in high-speed means you are worried about not being able to take charge over a certain event. It may also symbolize worry over loss of control over your journey to success. 6. Naked in public – It would be terrifying if you walked around public places with no clothes. This dream portrays one’s fear of being vulnerable in their waking state and not being confident over their skills. 7. Wanting to relieve yourself and finding no toilets anywhere – This situation can cause nervousness and desperation in real life. Having this dream multiple times means that one is not able to express their real feelings. 8. Dreams of teeth falling out – If you dream that your teeth suddenly falls or is removed, it symbolizes that one feels they are a failure in real life. Your pearly whites signify confidence and their loss means losing your composure. 9. Being chased by someone or something – Running away from something or someone in your dream means you need to confront a person or situation but you have no idea how. The issue is something that you cannot stop thinking about in real life and it’s running after you in your unconscious. Dreams are powerful because they signify the current state of our lives. Some should not be taken so lightly as they are messages that could possibly affect our simple and even big decisions. Have you experienced these dreams? Share your thoughts in the comment section below.